Feel like 2014 was bad for video games? Maybe you weren’t looking in the right places? 2o14 hasn’t been the greatest year for gamers. New consoles means rushed games that underutilize the hardware as well as inferior last gen ports. On top of this, we had several high profile disappointments, notably Watch Dogs, Assassin’s Creed Unity, and Destiny. But the worst thing about this year is that there was no standout AAA game for many, a game people could point to and say “that was a game I’m going to remember in ten years”. The closest came from the Nintendo camp with hits like Bayonetta 2, Mario Kart 8, and Super Smash Bros., but there was nothing new from the AAA sector that had utterly unified praise. One may use this as evidence that 2014 was a bad year for gaming, and, to a certain extent, it was; however, many gamers still ignore indie gaming in their assessment. Indie gaming was a whole different ball game this year, providing hit after hit for PCs, consoles, and even handhelds. What have traditionally been thought as snippet games designed to hold you over until something good comes out, actually outshined the bigs this year. Today, I’d like to look at these indie games and parse out why and how they’ve been so successful in a year of misses. Let’s start with the traditional. A lot of games played derivative baseball this year. Nintendo put out new Pokémon remakes, Middle Earth: Shadow of Mordor was a Frankenstein’s collection of tropes, and the array of remakes and remasters from every camp could make your head spin. While I’m not knocking the quality of these games (except for the woefully broken Master Chief Collection), none of them had the spark of genius that’s really going to push them to another level. Cue indie gaming. Yacht Club Games brought us the widely beloved Shovel Knight this year. Shovel Knight, like Shadow of Mordor is a collection of tropes from different games; however, it manages to be much more. Whereas Shadow of Mordor relies so heavily on the movies and original books, while refusing to make many bold advances on its own (understandably so, I might add), Shovel Knight managed to make a perfectly classic platformer that felt totally unique when it wasn’t. You see, what Shovel Knight did was add charm to the fundamentals. Yacht Club worked on making the game funny, clever, and fun to experience first and foremost. Fun is something that many game developers have forgotten in an attempt to elongate their gaming experiences. 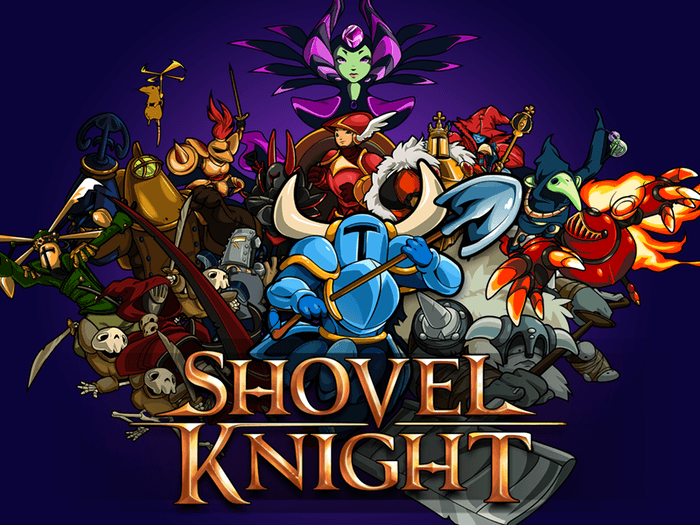 Shovel Knight did away with many modern trapping such as experience and grinding, and showed us that games can be greatly improved when they focus on fun and fun alone. Then they set out the make a memorable and charming world with larger-than-life characters, colourful backdrops and clever use of shovel puns. Shovel Knight really is so effective because Yacht Club knew how to weave simple fun and unbearable charm together in an effective and unobstructed way. AAA games could learn a lot about scaling back the layers and layers of fluff and working on something that is fundamentally powerful. Not all indie games thrived upon the fundamentals, however. Some made headways simply because they knew how to provide a fun and utterly addicting experience. At this point, we know online multiplayer as found in the Call of Duty franchise is addictive. The same is true with loot-grinding in games like Diablo III. This addictive quality keeps people playing long after the game would have become a slog, and is something that really ticks with people. Accordingly, just about every game out there tries to push some addictive, OCD quality in order to keep you playing, usually at the expense of a real rewarding or fun experience. Far Cry 4 is a paradigmatic of this approach. The game is littered with dozens of side quests, collectibles, and events. Very few of them are particularly rewarding or fun. That’s the problem with many games pushing addictiveness – the addictive component is hollow and only exists to push compulsiveness as much as possible. There is no real reason to strive to get every single collectible in games like Far Cry 4 other than the ping of a trophy or a couple of extra experience points. When we go to this year’s indie catalogue, we have two games that know how to create an addictive experience that is also completely rewarding – Rogue’s Legacy and The Binding of Isaac: Rebirth. These are two games that created an addictive environment that would give Diablo a run for its money, and they did it without forgetting to be fun all the while. Rogue’s Legacy promotes replayability based on a Dark Souls-esk difficulty curve and the fact that it encourages you to keep hammering through especially after death. The game focuses on making you better with every death, which means that you’re always gunning for ‘one more run’. Rebirth is quite the opposite. Instead of constant empowerment, it promises a totally unique run every time, with unlockables that actually affect how the game is played. In both cases, I’ve been stuck in a non-stop gameplay loop, not because I feel obligated like many open world games these days, but because I find them so fun to play. Then, of course, there is the wild and wacky. Indie games have always excelled in this department. It’s actually something the AAA games have lost as they’ve gotten blockbuster-sized. Very few AAA developers will stray from what works, and that’s a weakness. We all know it’s a weakness, but we’re willing to accept the same game repackaged. Though I hesitate to bring the fan-hammer down on myself, let’s face facts, while the best in their respective franchises, in my opinion, Mario Kart 8 and Super Smash Bros. for the Wii U were both playing to a safe formula. So was Dragon Age: Inquisition, Call of Duty: Advanced Warfare, and just about every other game released this year. However, games like Octodad: Dadliest Catch, or Don’t Starve: Rein of Giants, or Velocity 2X provided experiences that you simply aren’t going to get anywhere else. I mean, what AAA game is going to have you control an octopus trying to pretend to be a human for the sake of his normal human family? None of them. Why? Because AAA games have a specified price structure and size requirement. Indie games can play with a single, fun and funny mechanic and sell you the game at a cheaper price. It’s very liberating. You can play a small-scale, cheap game for fun. It doesn’t have to be some ungodly epic with millions of hours of boring gameplay separating the really great stuff. It’s enough that the game brought a smile to your face as you completely screwed up maneuvering the octopus dad in the silliest of ways. If there’s a unifying reason why this year’s indie games made such a bold statement, it’s because they placed fun before gimmicks, fun before gameplay contrivances, and fun before profit. This is the core concept that made us all fall in love with games, and this was something sorely lacking this year with the exception of Nintendo’s games. Too much of this year was nothing more than a tech demo, or promise layered on promise in order to feed the increasing development costs of the AAA industry. Fun factored very little into games like Destiny, Assassin’s Creed Unity, or Watch Dogs. It’s that desperation for profit, when costs are on the rise, that really leads to stifled innovation and a veering away from games that are simply the most fun. There were some good games this year in the AAA sector, but the only great games, truly great games, came from the indie sector. While such decision would probably harm true indie developers, that great list you put together makes me wish some giant developers (Nintendo, Ubisoft, EA, Capcom, etc) would create specific in-house studios to exclusively develop games of simple and stripped down nature.